, when you get a chance. 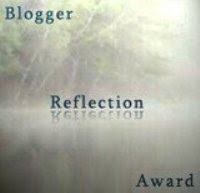 I am now to choose 6 blogs for the same Reflection award and then contact them letting them know. I understand that i need to pick blogs which have touched me or inspired me in some way. It is hard to choose as i enjoy reading so many blogs for a variety of different reasons. It is because of her that i have been reading 'Timeless Simplicity' by John Lane and that my husband made vanilla ice cream ... delicious. What i love about Willows's blog is that she shares with us her journey in low impact and simple living. Her blog is inspirational. Not only are her photographs of flowers,veg and wildlife stunning but she raises many questions and debates on ethical issues.. from seasonal food, food production methods, to toxins present in everday products and other enviromental issues. 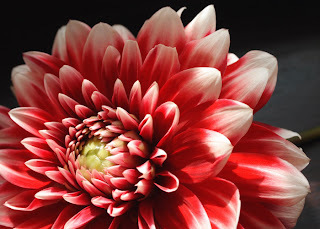 A blog to make you think with photographs to make you dream. 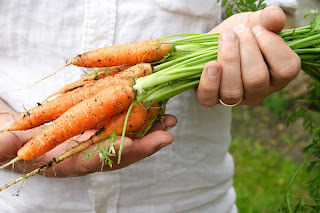 Her passion and love of her small business growing cut flowers is inspiring.She writes most days and is often the first blog i read in the morning. As i know Alice does too. She likes a good debate and i love reading her comments. Direct and to the point , just like Alice. Jane also makes textile crafts which she sells through her website. 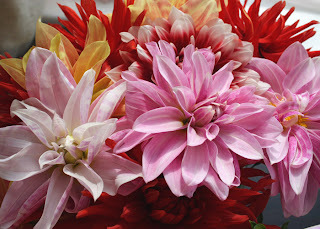 A blog full of beautiful creations and many photographs of her 'girls'. Tracy is off to live the life in Scotland starting with building a home with her partner Stephen. I am so excited for her and look forward to joining her as she writes about this new journey on her blog. Since starting the Flour loft, she has been really supportive and left lovely comments. I have also ordered a special something from her for my daughter's birthday. Will reveal soon. Marie is from Toronto and has a natural skin care range. 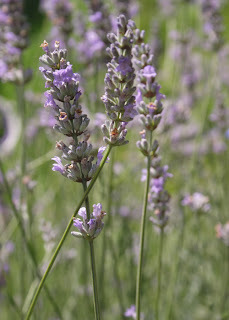 Her blog is really informative and of particular interest to me as i am passionate about growing herbs. She seems like a lovely sweet soul and i find her blog warm and friendly. which thanks to her link we are set to check out this Summer. Well i hope if you don't already know the 6 i have highlighted that you will go and have a look at their blogs. 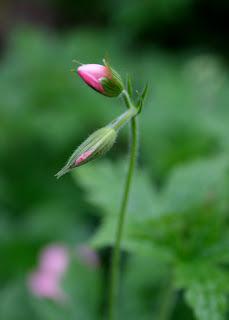 I have been taking photos of the garden again today as you can see (the geranium bud was taken a few weeks ago). I may get around to showing some creative stuff soon too and to talking about the business which is ticking over, but is in need a few more web updates. A big new project is now underway which i will talk more of in the weeks ahead. 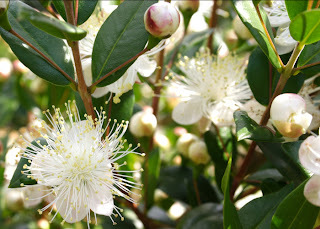 Thank you to all who stop by, i really enjoy linking up with you all and hearing your comments. Happy Sunday. Thanks for the links, some of them I read already but I'm off to check out the new ones. Big new project sounds exciting! Oh I so like it when I get new blogs to read, because we all need to read more right? You made such sweet comments about my blog. Congratulations on your award too - you deserve it! I may struggle to find 6 blogs, as you have already chosen some of my favourites, but I will have a go. I hope you are enjoying Timeless Simplicity, its still one of my favourites but you never know when you recommend a book whether somebody else will feel the same. Well congratulations, Jane's is often the first blog that I take a look at too. Hi Ginny - what an honour!